Home Exercise Exercise Your Back Pain Away! The traditional treatment for low back pain is increasing core strength to increase flexibility on tight muscles, provide better stabilization of the spine and exercises to correct the muscle imbalances. The muscles surrounding the spine provide stability and support of the spinal column. All the muscles between the hips and shoulders are included. These muscles are referred to as the core muscles. Back pain can be caused by muscle imbalances of any of these muscles. If the back of the thighs are weaker than the front of the thighs, there will be uneven pull on the front of the spinal column. This muscle imbalance can be caused from long periods of standing or sitting, improper strength training or running, this lordotic curve or sway back of the vertebral column can be painful. 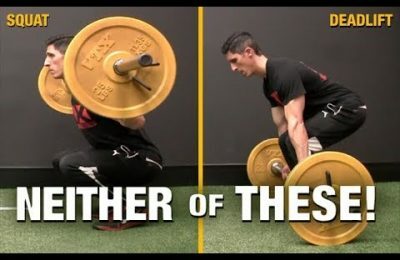 There are more effective ways to integrate core strength training exercises into every exercise you perform, than by doing traditional crunches. One way is to use effective breathing. The following “Pilates” style breathing technique can be added to any strength training exercise. While performing a leg press, inhale during the bending part and exhale during the press. This deep breathing technique needs to be incorporated with the resistance or force of the exercise. You will utilize the diaphragm muscles which help to provide spinal support and lengthen the spine, by breathing from your diaphragm instead of shallow upper chest breathing. The tummy tuck and bridge lift and can help reduce back pain and strengthen the core muscles. The tummy tuck is simply a pelvic tilt drawing the abdominals away from the floor. Simply lie face down and squeeze the glutes to lengthen the spine. Reach the tailbone down towards the heels instead of pressing into the thighs. Perform 10-12 repetitions of each exercise alternating them until you have completed 2-3 sets. For the bridge, simply place the feet on a bench or on the floor and scoop the pelvis upward; the rib cage should stay low to reduce the spine muscles irritation. This will relieve stress on the back and focus the muscle contraction into the hamstrings and glutes. The lumbar side stretch, hip flexor stretch, and calf stretches can help to alleviate pull on the spine. For the hip flexor stretch, bring one foot forward in a bent knee, 90 degree angle (knee to hip and knee to ankle) while the other leg is on the floor behind with foot pointing toward the ceiling. This stretch helps to open the muscles in the back on the sides of the spine near the hips. Squeeze the glutes to deepen the stretch with each exhaled breath. You should feel a stretch on the back leg, in the front of the thigh and the hamstrings on the front leg. For the lumbar side stretch bring the legs wide with knees bent while sitting or standing. Bring one hand down towards the foot inside the thighs and the other behind the head. The last stretch opens up the Achilles tendon; the most distant pull on the spine of the body. Place an object under your foot and lean your body weight forward. Keep a fluid breath while holding all stretches for 10-30 seconds .You should feel a stretch behind the knee and shin. By exercising core muscles you will be able to continue working out without sacrificing your back. Check with your doctor before starting ANY exercise program!